Shown are solar panels on top of DHA’s Mariposa development. Solar can be incorporated into Green Roofs, under Denver’s new ordinance. Solar panels are so cool, literally and figuratively, they should be a key component of Denver’s Green Roof ordinance, I believe. The importance of solar was driven home to me recently, as we are in the process of adding solar panels to the roof of our townhome. As part of my due diligence into the benefits of solar, I learned solar panels can “cool” a roof by an estimated 38 percent a year, in addition to the obvious benefits of providing free, clean electricity. Only Walmart and Target generate more electricity from solar panels than ProLogis. Workers are showin installing solar panels on a ProLogis building. 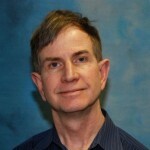 The cooling effect is according to research at the University of California-San Diego’s Jacobs School of Engineering. That 38 percent cooling effect is significant regarding Denver’s Green Roof initiative, the toughest in the nation. That’s because research compiled by supporters of the Green Roof initiative found that a roof with vegetation can reduce the Urban Heat Island effect by 40 percent. The Green Roof initiative, of course, was approved by Denver voters last November. 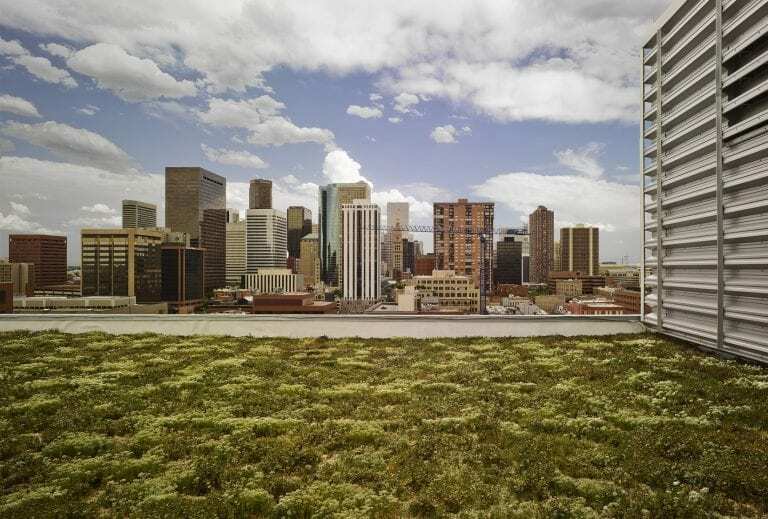 Proponents effectively argued that one of the major reasons the Green Roof ordinance was needed is because Denver ranks No. 3 in the nation for its Urban Heat Island effect. Brandon Rietheimer, the campaign manager for the initiative, hammered that point home in the months leading up to the vote, which was passed by a 52 percent margin. Rietheimer now is part of an eclectic, 24-member task force looking at all aspects of the green roof ordinance. The task force also includes a number of members with expertise in commercial real estate, such as: Amie Mayhew, president and CEO of the Colorado Hotel and Lodging Association; Mark Windhager, founder and CEO of Red Peak; Jeannie Renne-Malone, vice president of sustainability at Prologis; and Tami Door, CEO and president of the Downtown Denver Partnership. 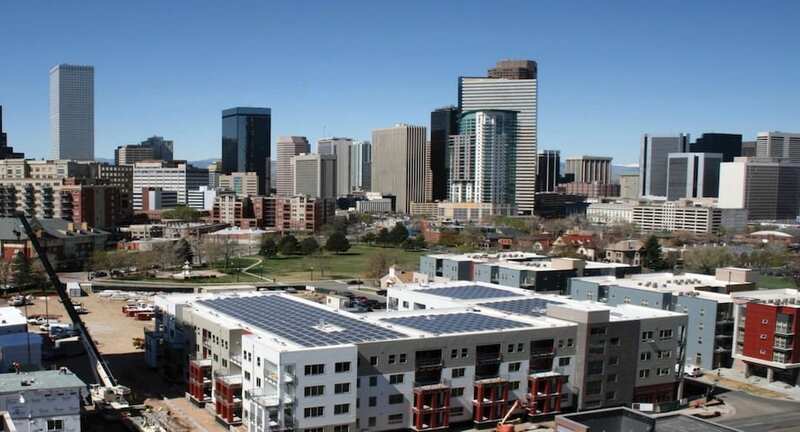 Chris Parr, development director for the Denver Housing Authority, which has long incorporated solar panels into its Denver low-income housing development, also serves on the task force. The next meeting of the task force is from 9 a.m. until noon today, May 2, in the Grand Mesa Room on the second floor of the Wellington E. Webb building at 200 W. 14th Ave. 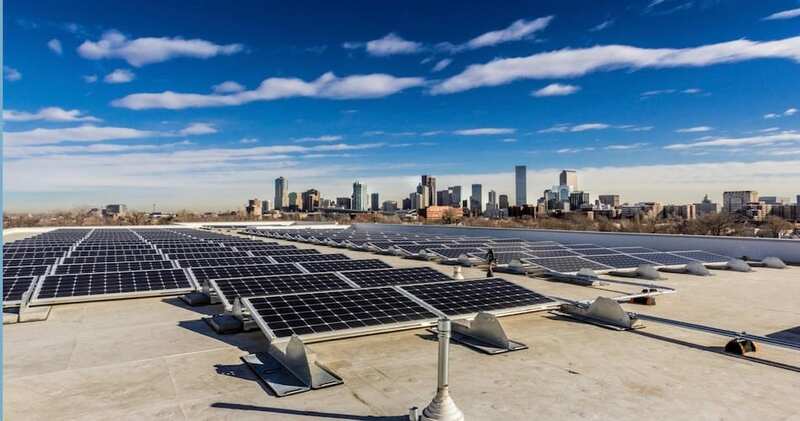 Solar power can play a key role in meeting Denver’s new Green Roof standards. Shown is DHA’s Benedict Place. “The Green Roof Review Task Force’s mission is to develop recommended modifications, clarifications, and improvements to the green roof initiative through a collaborative, consensus-based process that honors the vote,” Katrina Managan, of Denver Department of Public Health and Environment, and a member of the task force, told me. Managan also was one of the panel members at the “Sustainability: Achieving the next level” conference last week that was sponsored by the Colorado Real Estate Journal. “So far, the group has examined the benefits of the ordinance, particularly its ability to reduce Denver’s heat island problem, address climate change, improve storm water management and provide usable green spaces,” she continued. To meet the “cost-effective” goal, I think solar panels could play a key role. For the number crunchers, it is easier to calculate a return on investment from solar than from planting trees and plants. And unlike green roofs, solar panels don’t require water and don’t have maintenance costs. In fairness, solar panels don’t provide all of the benefits of a green roof, ranging from the potential to attract bees and other insects, helping to scrub the air, and the aesthetics of having a garden rooftop. Still, I imagine the cooling effect of solar panels is largely unknown. This is how they do that: In effect, the solar photovoltaic panels “absorb” the sun rays that would normally beat down on the roof and then much of the heat is removed by wind blowing between the panels and the roof, according to the University of California-San Diego researchers. The solar panels also hold heat in during the winter, so they basically help cool a building during the summer and heat it during the cold months, the researchers calculated. The cooling effect today might even be greater than 38 percent than in 2011, when the research was conducted. That’s because the more efficient the solar panels, the bigger the cooling effect, according to the researchers. In that era, solar panel efficiencies ranged from 14 percent to 19.3 percent, according to a report from the Department of Energy. Now, Panasonic, for example, which supplies solar panels for Tesla (formerly SolarCity) and for other installers, such as Solaroo Energy in Centennial, produces panels that are up to 23.8 percent efficient. Not only are solar panels more efficient, but they are about two thirds less expensive today than they were six or seven years ago. 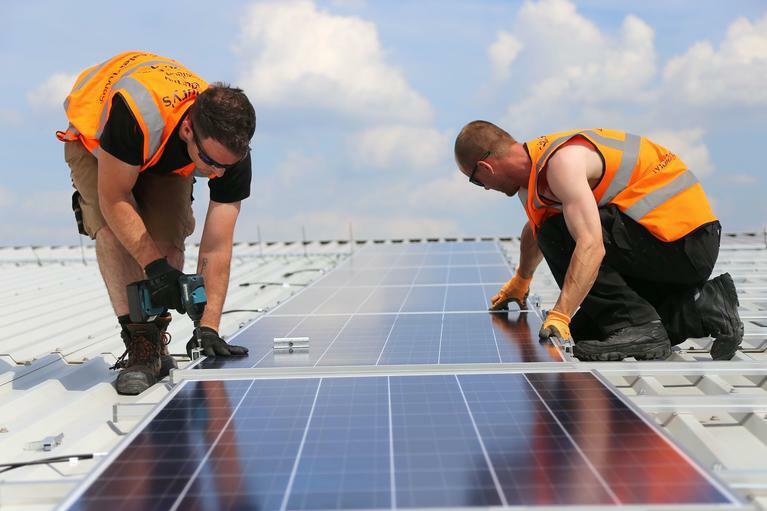 As an added bonus, the 30 percent tax credit for solar survived the tax code overhaul and remains in place this year. There has been a lot of griping about the cost of installing a green roof by commercial real estate owners, especially on existing buildings. However, there has been little fanfare about the solar element of the Green Roof initiative, which applies to buildings of at least 25,000 square feet in size. Under the initiative, solar can be used to offset up to 70 percent of the green roof requirements. Solar can be used in combination with vegetation as long as at least 30 percent of the roof is green and it meets rainfall collection requirements. What that means is a 25,000-sf building with a 10,000-sf roof, would require 20 percent green coverage, or 2,000 sf. If you break that down, 1,400 sf could be used for solar and 600 sf for the green roof with plants or trees. A green roof, such as this one on the EPA building in downtown Denver, plays an important role in reducing the heat island effect. Many may be surprised to learn that solar arrays also reduce the heat on a building. The bigger the building, the more green coverage is required. For example, a building with 50,000-sf to 99,999-sf would require 30 percent coverage. Yet, a key piece of alchemy brought to light by city officials and presented to the task force is that the 30 percent green space requirement could be reduced to a mere 3 percent. How does 30 percent become 3 percent? That’s because with many larger buildings 90 percent of the roof would qualify for an exemption from the ordinance for major structural reasons. That leaves only 10 percent of the roof available to support a green roof. Ten percent of 30 percent is 3 percent. Now, a lot needs to be hammered out before the Denver City Council potentially fine-tunes the green roof ordinance. Indeed, the city has not received even one request in the first quarter for a green roof permit, said Laura D. Swartz, Marketing Community Specialist for the city’s Community Planning and Development department. “It’s possible some roof replacement projects may be waiting a few more months to see how the ordinance changes this summer, if at all,” Swartz said. “Anecdotally, we have seen quite a few site development plans come in for new construction projects, which are incorporating green roofs and solar,” she noted. In other words, solar power is cool.